The field of active electronic and photonic devices made with organic and polymeric materials is rapidly growing, and new advances are being made both in attaining a deeper understanding of device phenomena and in developing novel materials. 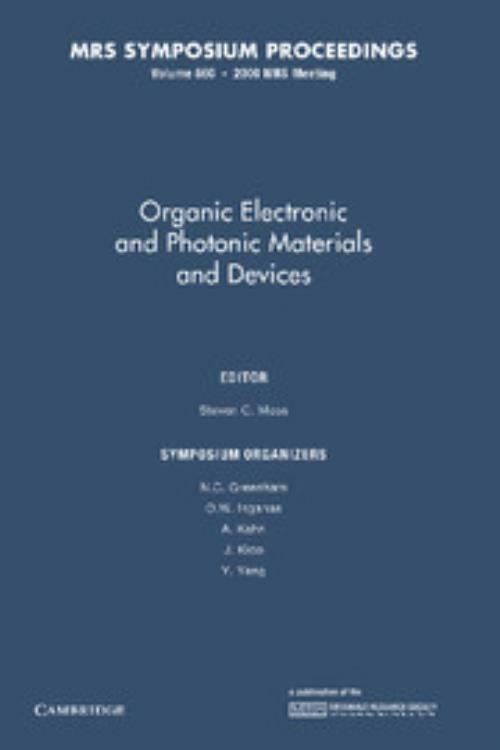 The presentations in this book emphasize the broad scientific and technological interest in organic materials for both electronic and photonic applications. A significant portion of the papers address materials and devices at the nanoscale, including work on nanotubes and self-organized structures, as well as nanopatterned thin-film structures. Topics include charge carrier dynamics, interfacial properties, linear and nonlinear optical properties, defects and growth. Technological applications focus on light-emitting diodes, lasers, batteries, solar cells, organic thin-film transistors, sensors, molecular electronics and electronic paper.